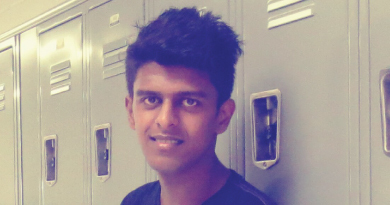 About the Author: Prerit Jain is a student of Bhagwan Parshuram Institute of Technology. He shares his experience of an internship which familiarized him with a corporate environment. Amid the hustle and bustle of my final examinations, I was applying for internships. Internshala had been my companion in the process. I got shortlisted for few companies and analyzed which one would give a boost to my career. A day before my exam, I went for an interview at Troofal Interactive. It was the first time I was seated in front of an interviewing panel and boy, I was nervous. The first question, the one I had come prepared for, was popped – “Tell us something about yourself”. I was blank, the room had a night’s silence for a few seconds but then I began with my answer. Having answered the question, a sense of confidence got instilled in me. I answered all their questions and showed them the projects I had worked on. The next step was a technical interview. It was a written test with 3 questions. I recapitulated my concepts and answered two of them. The third question seemed to have an error, which was later confirmed by the interviewer, but I gave the best possible solution I could. As the next step, I was given an assignment which was to develop a web page and deliver a presentation on marketing strategies the next day. Owing to my examination next day, I hardly found any time to work on the assignment. However, I completed the task and sent them. After I delivered the presentation, I was told that I had been selected for the internship. I was to join after my examinations. Although I had fallen ill, I went to the office on my first day. I felt dizzy all day and my colleagues noticed it. I was granted leaves till I was healthy enough to work. It was my very first day and I felt like I was a part of their family then. I joined the office and met the other interns. The atmosphere was friendly and people were welcoming. The projects I worked on there helped me learn lots of new things. With a constant support from my colleagues, I performed exceptionally well during my tenure. Many interns joined and left in a day or two but I never got overwhelmed with the work. With my will to learn as much as possible, the internship turned into a fun activity. I enjoyed every moment of it. I was learning new concepts, working on newer technologies, receiving guidance from my mentors. The internship was a great experience for me. I learned to do things that I had considered too difficult. Are you also inspired by Prerit’s journey? Check out these latest programming internships.